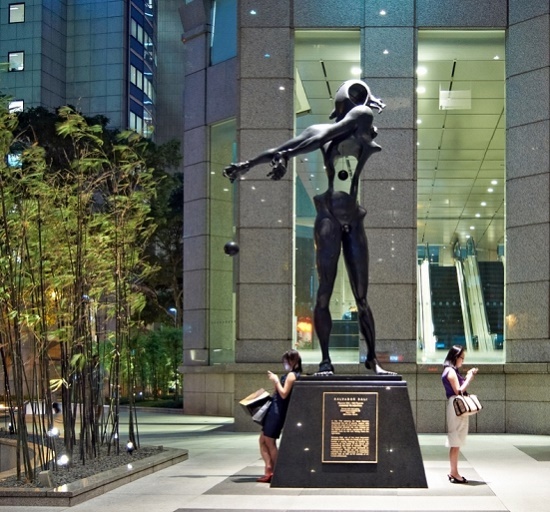 One of the most famous sculptures, “Newton” by Salvador Dali decorates the area near United Overseas Bank. Actually, it belongs to the same bank. The sculpture installed in 1985, depicts a notorious apple, which contributed to the discovery of the law of universal gravitation. However, it is not falling down from a tree, but a ball falling from the right hand of the scientist. 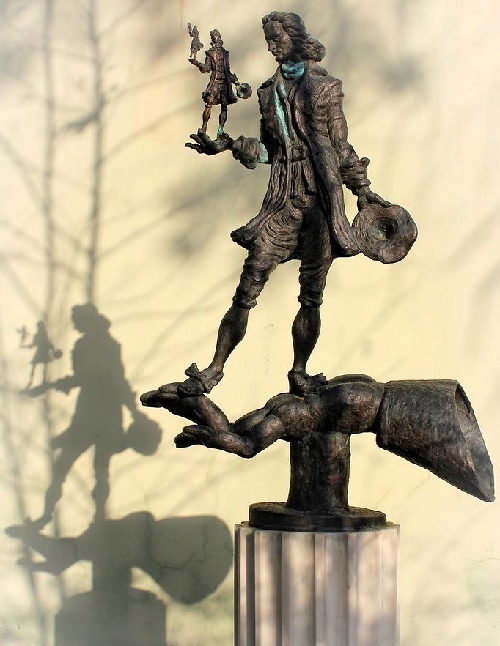 Through the open chest we see the heart of Newton, which symbolizes his spiritual openness and generosity, and the open skull symbolizes his open-mindedness and wide horizons. These are qualities, according to Dali, without which it is impossible to achieve success and recognition. 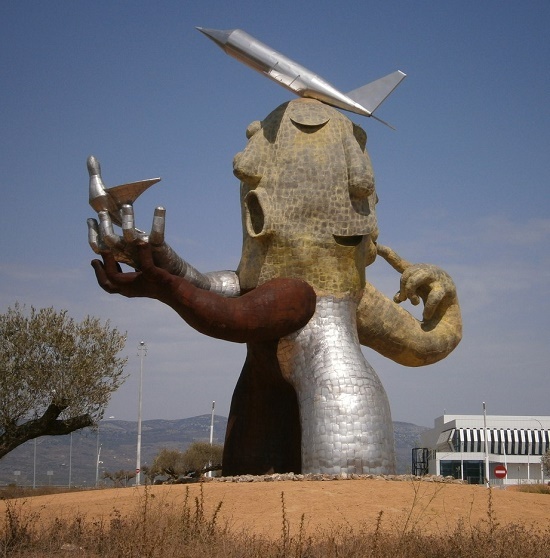 In fact, located in the municipality of Vilanova d’Alcolea in Valencia, Spain airport became famous thanks to the impressive monument erected on its territory. 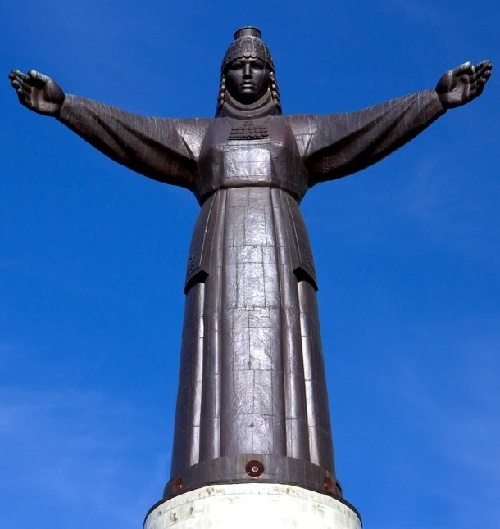 Interestingly, opened by local authorities in March 2011 a 24-meter-tall statue became a caricature of Carlos Fabre, who was the initiator of the construction of the airport. 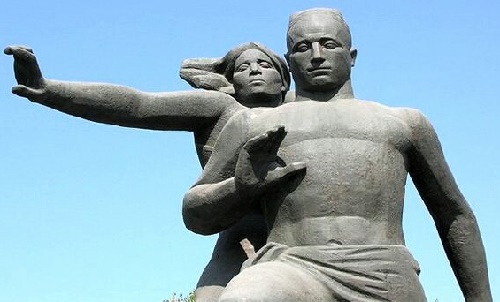 Meanwhile, in this province is the homeland of Juan Ripolles – artist, sculptor, designer. The sculptures and monuments of Ripolles decorate the central squares of European, American and Asian capitals and cities. And his paintings – the collections of connoisseurs around the world. Besides, among the admirers of his work are the first persons of states. And how could the airport of the province of Castiglione do without the work of its distinguished countryman? Accordingly, before the airport appeared 24-meter statue of the Man-plane, which The New York Times called “a symbol of ruin at the airport without destiny.” By the way, the erection of this figure cost 220 thousand pounds sterling. 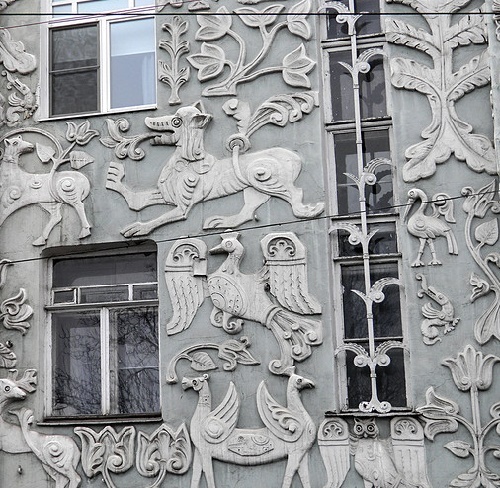 Among many new houses in Moscow which have appeared lately, is one very special. Called “Patriarch”, it is multi-storey, lush, richly decorated, and even with a strange tower. Mosaic marble floors, columns, ceilings with exquisite stucco, amazing chandeliers, carpets – all this casts a somewhat nostalgic sadness over the long-gone times of Russia’s wealth. In addition, the house has its own coat of arms, symbolizing spirituality and luxury. However, the most distinctive feature of the decor are 12 sculptures made with a claim to antiquity. The figures depict representatives of all professions involved in the construction of the building. In particular, a town builder, a chronicler, a builder with a brick, a builder with a trowel, a disputation figure, a muse, a sculptor, and a stonemason. Besides, two other allegories – so-called “carrot and stick”. By the way, in Russia – they are whip and Gingerbread. So, these are the figures of a strict city guard and a good city dweller. Interestingly, the image of each sculpture has its own real prototype. 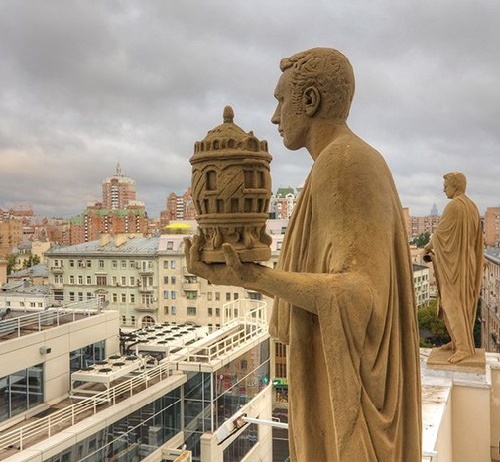 For example, the chief architect of the city of Moscow Alexander Kuzmin is a prototype of the statue of the town planner.